A good colleague and friend Dr. Veit Stürmer, has passed away suddenly in the late autumn of 2013. 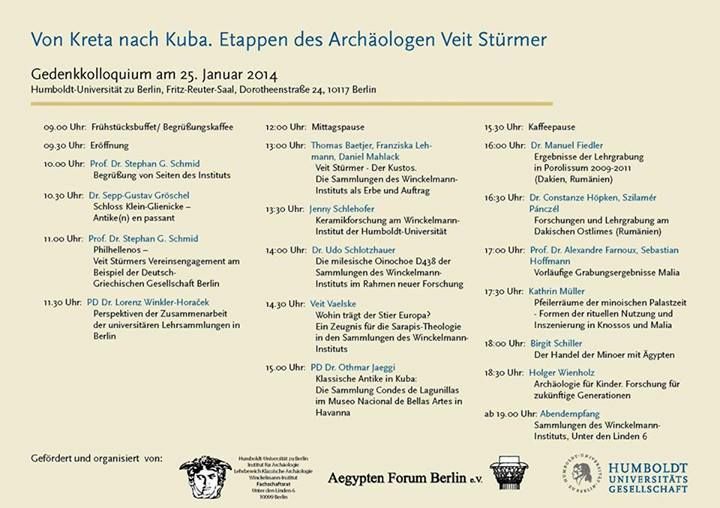 Our team is paying homage to his memory on the 25th of January 2014 in Berlin by participating to a commemorative conference, entitled “Von Kreta nach Kuba. 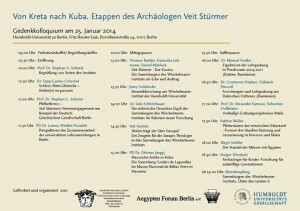 Etappen des Archäologen Veit Stürmer”, that will be held at the Winckelmann Institute of the Humboldt University in Berlin, Germany. Our team will present some of the results from the 2013 survey and excavations campaign on the eastern limes of Roman Dacia.